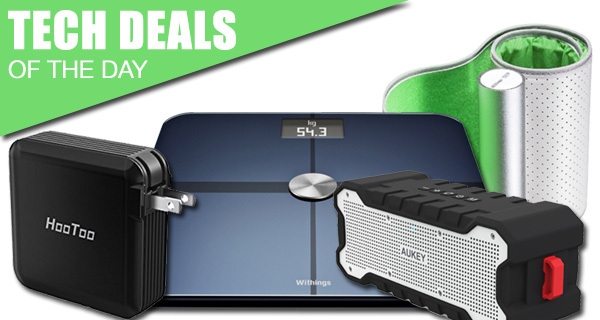 It’s that time of the day again when we bring you a number of excellent technology-based deals that look to save you money on some of that excellent tech you have wanted to introduce into your life. Why pay full price when you can get some fantastic, albeit limited time, discounts? Make sure to act quickly before they expire though. First up, we have a handy little portable wireless router for turning any wired network into a wireless one in no time, and it costs a mere $30 only. It also has a built-in battery for charging devices on the go. Perfect for traveling. Next up, we have two Withings products. A wireless blood pressure monitor which pairs up with Android or iOS devices, and the Smart Body Analyzer scale which is basically a WiFi-enabled weighing scale that can pair up with a smartphone to record weight and other vitals. Last but not the least is a Bluetooth speaker that is built to handle the outdoors making it perfect for wet weather or rough use. As mentioned earlier, the deals are hot and time sensitive, so if you have your heart set on a product here, make sure you act quickly before the offers expire. So what are you waiting for? Enjoy the savings! Whenever we travel, it’s likely that we all have a list of items that we take with us as a matter of importance. 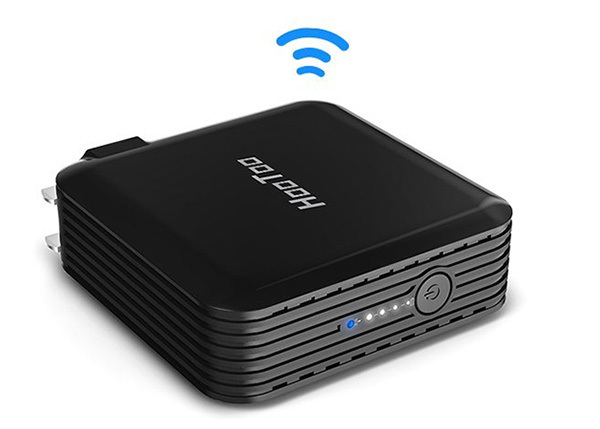 What’s unlikely however, is that one of those items is a portable wireless travel router that has the capability of turning any wired network into a wireless hotspot that can be accessed via mobile devices, such as smartphones or tablets. It also functions as a battery charger thanks to its built-in integrated 6,000mAh battery. Make sure you grab it using the following promo code at checkout for a reduced price of just $30: BDXJHPHF. Withings made a name for itself as a company initially penetrating the market with an intelligent set of smart scales capable of recording readings and sending that information back to a connected device. 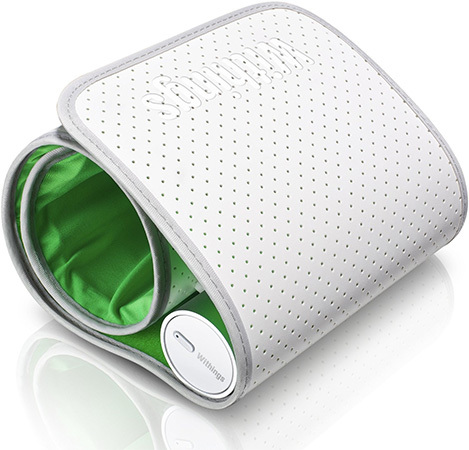 This time around, things have gone to the next level with this intelligent and wireless blood pressure monitor that does a perfect job of taking accurate blood pressure readings, and as you might guessed it, sends that data back to a connected smartphone to be analyzed and stored. 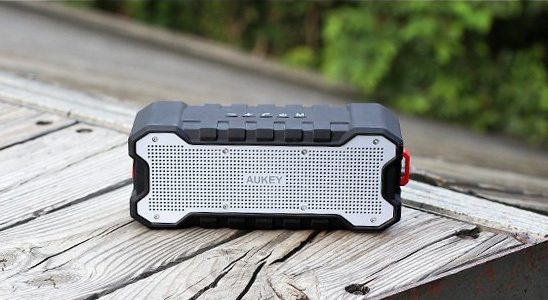 If you’re going to get a Bluetooth speaker to play music on the move, then you may as well get a rugged one that can handle the knocks and scrapes of life. Built with the latest Bluetooth 4.1 technology, it can instantly connect to devices that have previously been paired in order to deliver an excellent sound experience. It may not be the best looking Bluetooth speaker that we will ever see, but it certainly gets the job done when needed. Oh and it boasts a playback time of 30 hours. Make sure you grab it using the following promo code at checkout for a reduced price of just $35: AUKEYSK9. If you’re looking for ultra-precise weight and body fat measurements, but want to ensure that it’s done with the best technology possible, then you may want to look into the Withings WS-50 Smart Body Analyzer. There’s automatic upload of measurements via Bluetooth and Wi-Fi that can then be traced historically via a connected smartphone app. Lol! A portable wireless router that has to have a wired connection. Nobody has a wired connection driving down the road or on a plane. If you did have a wired connection and use this to give Internet to your smart phone like it is stated above in the article then you don’t even need this because your smart phone is capable of being a hotspot, also, ANY router is considered portable, I’ve taken mine to plenty places before and used it for gaming lol I’ve also used my smartphone to hotspot my PS3 multiple times. Do not think that you understand the usefulness of this portable router. And I do not want to take the time or effort to explain it to you. By your reasoning, my 27 inch iMac is “portable”. Uh, no!